We can offer all levels of safety training essential in gaining your CHAS accreditation. With a wealth of experience across various industries, we have delivered CHAS registration and health and safety solutions to all kinds of businesses – from construction and development to horticulture and hotels. 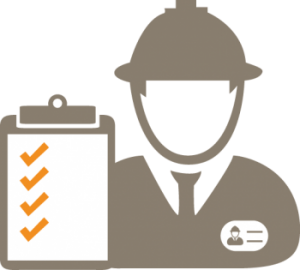 When you undertake CHAS registration, you will be demonstrating that you meet the recognised standards required for any organisation looking to employ you as a contractor. CHAS accreditation is almost certain to generate more business and profit for you, and ensuring your own workforce is protected by legal health and safety practice. The majority of local authorities and many organisations will insist on CHAS registration for any contractor they employ. We can help move your CHAS registration forward with our own expert guidance regarding health and safety procedures. You’re expert in your trade and we are in ours – so leave it to us to make your CHAS accreditation a simple and straightforward process. As part of our hassle-free and in-depth service we’ll complete the CHAS registration forms on your behalf together with the submission of supporting documents as necessary. This might be your first time but we’ve successfully completely CHAS accreditation for hundreds of contractors and we can make sure your CHAS application meets all the required standards for approval. As you can see, CHAS accreditation covers a wide range of requirements – so let us help to guide you through the CHAS registration process to a successful conclusion.